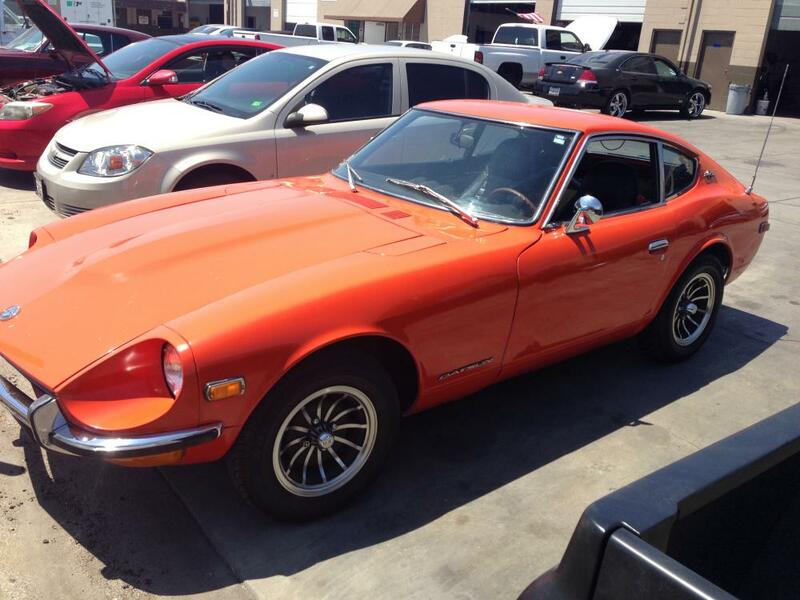 My name is Clay and I bought a 1970 Datsun 240Z (HLS30-01121) about three years ago. 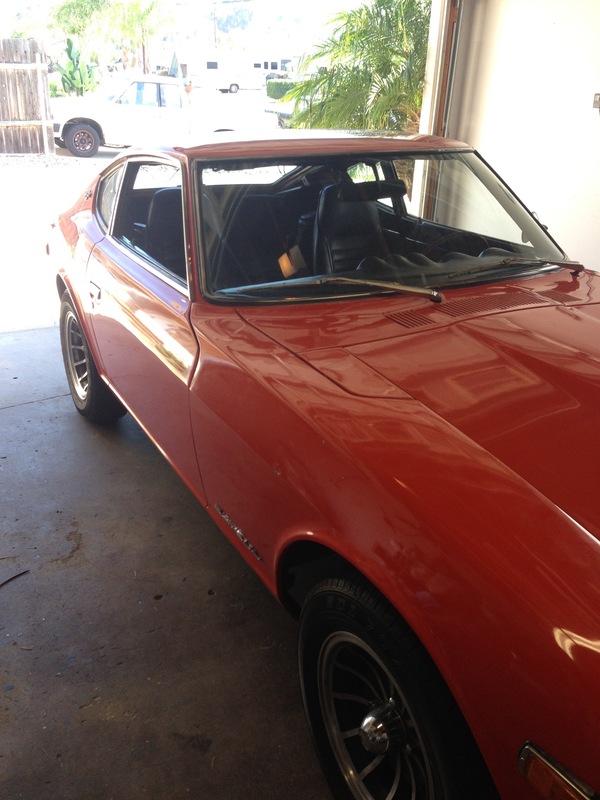 My intention was to drive it on the weekends and save up some money for a full restoration. I am stationed in San Diego, California and found the car on Craigslist. After talking to the owner and inspecting the car on FaceTime, I bought a plane ticket for the next day. I took the car for a test drive and it performed well. I handed over the cash and started the 650 mile drive from Redding, California. Before I left town I stopped at a place to get the oil changed for the drive. 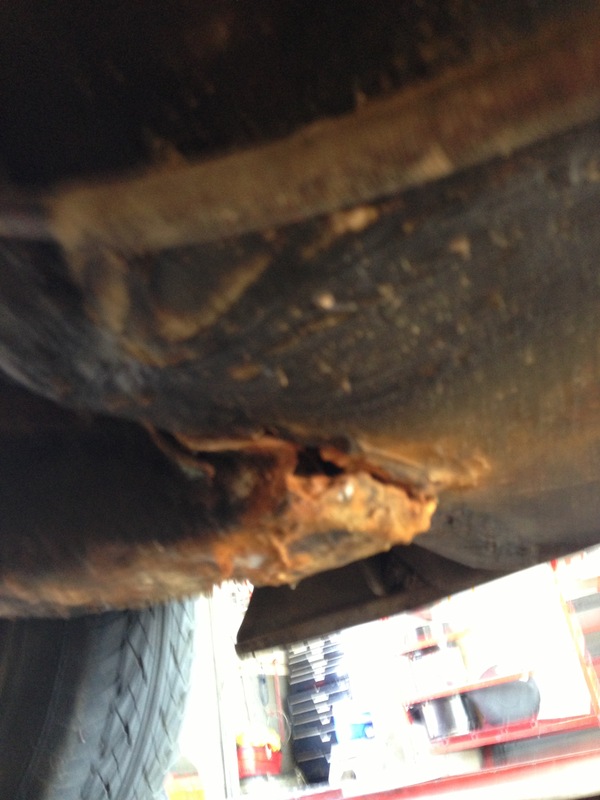 I went down below the car and noticed that the passenger side frame rail was in bad shape. 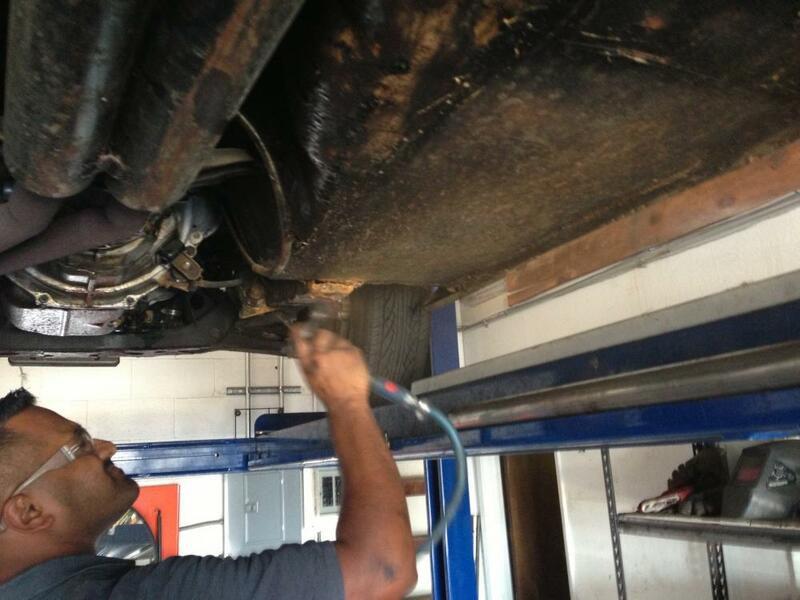 I limped the car over to a muffler shop and had them weld a support pipe from the front of the frame rail to the rear of the car (i didn't know what else to do at this point). I slowly made the trip to San Diego and got home safely. My dreams of driving this car on the weekends were shot because I did not feel comfortable driving this car with the frame rails in such sad shape. I parked the car in my garage and started it weekly. It has been in there for three years. It starts every time with no problems, it is almost asking me to drive it. It has killed me to leave it in this state for so long but I have read so many blogs about restorations that take so long that the owner looses interest. This would not be me. The time has come to start and I would like to document the progress here. Any and all comments are welcome. I would like to thank you for the inspiration that allot of you have provided for the past three years without ever knowing. I believe the car had some work done on it before. Whoever did the work left signs by not doing a very good finishing job imo. I get lost sometimes when looking at floor pans and frame rails, but it looks to me like somebody replaced your floor pan, but didn't finish the job with a new frame (chassis) rail. Found a couple of internet links that show what I'm talking about. You floor pan is very flat and featureless, probably custom-made. Zedd Findings and Bad Dog parts both sell rails, and Zeed sells floor pans. This thread has some comments from gnosez, who is Bad Dog. Looks like that quarter was repaired at Bruno's hack-n-pack auto emporium. 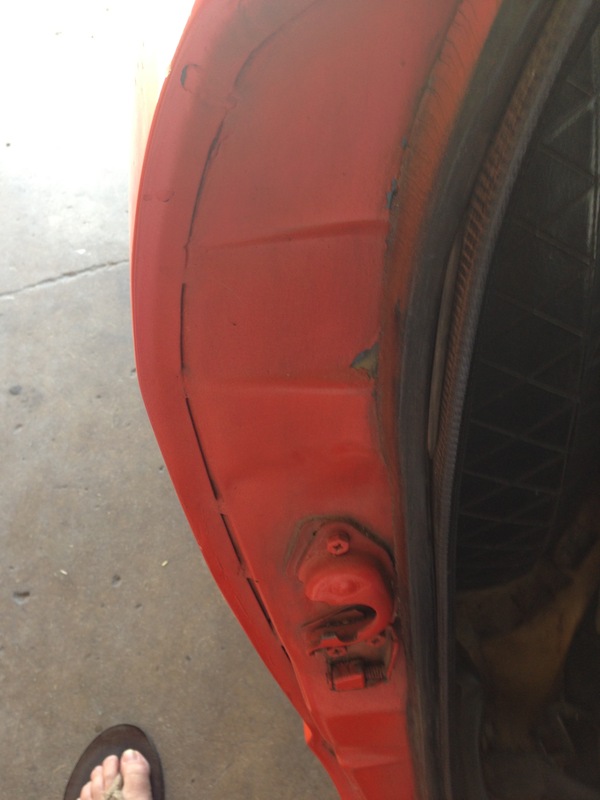 You probably have other questionable repairs elsewhere, but it's better than having a rust bucket. 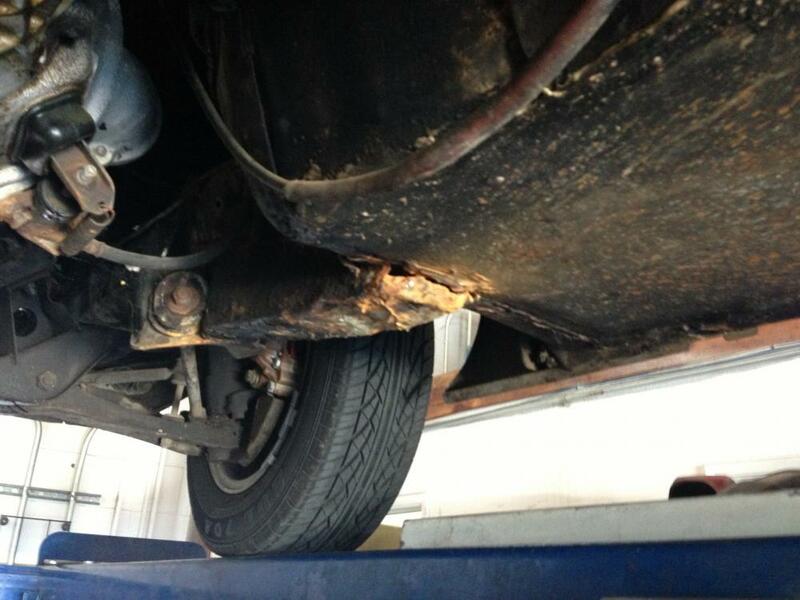 If the floor on that side has no rust, you can just have a new frame rail welded in. That should make the car safe to drive... unless the other side is like this too. So, the first thing i would do is remove that tar on the underside and pull the carpets and check the floors for rust. Edit: I'de look at that quarter panel repair more thuroughly. Did they just replace the outer quarter skin or did they graft in sturctural members too? i.e. strut tower and rear frame rail. Hi Clay, welcome to the forum, I agree with ZedHead, that passenger side floor pan has been replaced but they didn't add the rails like they should have. Don't despair, it doesn't necessarily mean the car is junk or anything like that. You need to get the car up on jacks or a hoist and have a body man check it out throughly. The repair may have been done 20 yrs ago, it may have been done badly or maybe not. 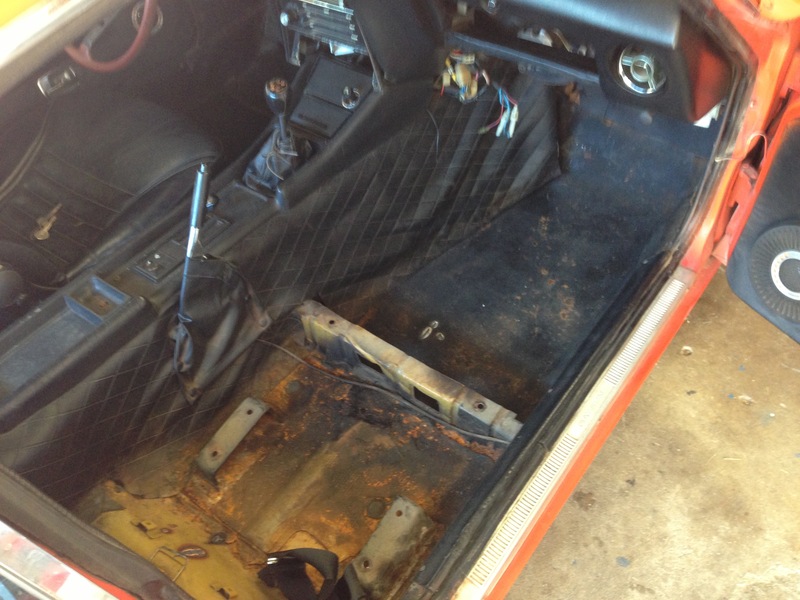 If you can post a lot more detailed pics of the the undercarriage and the inside of the car with carpets pulled up so we can see the metal underneath we may be able to give a much better idea of what has been done to it. There is a lot of very experienced guys here who are more then happy to give you a hand, don't despair. Zed Head - I think you may be right. I think someone did a DIY job on the passenger floorpan. There are no drain holes and the metal is very thin and flimsy compared to the driver side floor pans. I have recently ordered new floorpans and frame rails from MSA, they have not arrived yet. hr369 - I agree it is pretty messed up, thats why i have not really driven it in 3 years. I think I'm lucky that I found the car I wanted (1/70) that was not in to bad of shape. I have seen allot of early Z's that were in worse shape. I appreciate the words of encouragement. I definitely see the faults in this car but after such a long time planning and reading about what I want to do, I see what it will be rather than what it is. More pictures to come soon. 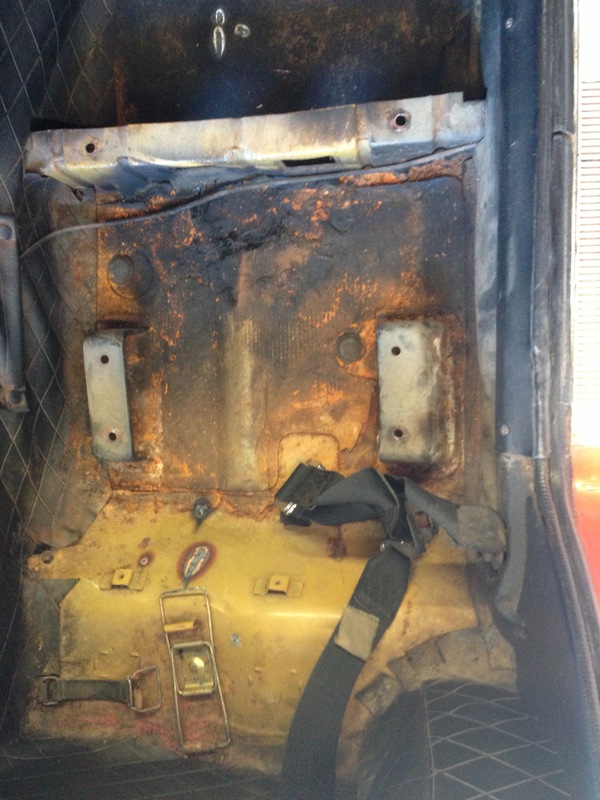 Here are a few pictures of the repaired floorpan on the passenger side. It looks like they just cut out the floor in front of the seat rail. On the bright side, I found out the original color was Safari Gold 920. That helped solidify the decision to go back to the original color. Have I said how glad I am that i discovered the true color on this car??? The transmission tunnel insulation is on there pretty good. I was expecting it and enlisted the help of my wife. LOL. She is actually awesome. Thor wants to see whats going on with his humans. He is a 11 year old German Shepherd Dog. I actually think he wanted some of my wife coffee LMAO. These windows came out really easily. Its current state. I will start again on Friday and see where we get. That doesn't look too bad at all, VERY restorable. The gold is a great colour too. 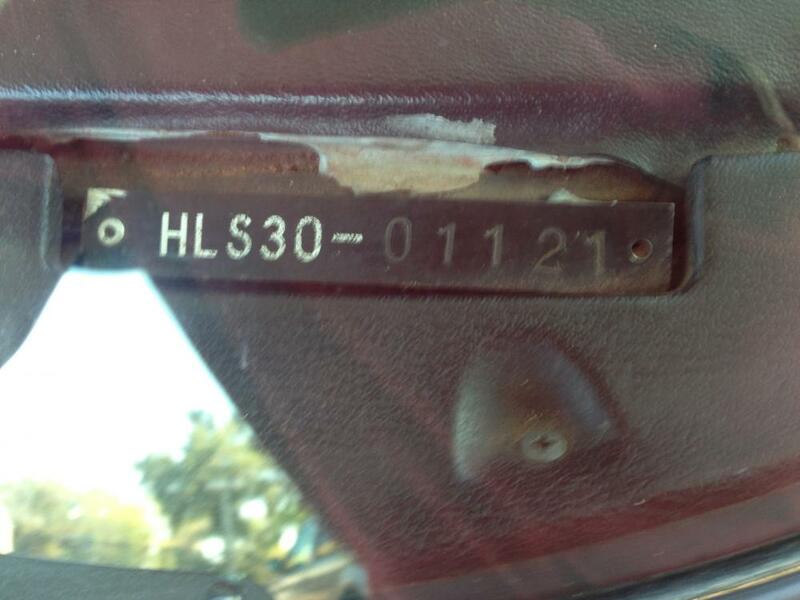 Does the engine number match the plate riveted to the passenger side shock tower? Unfortunately i think that is the side that has had some work done to it before. The plate that would normally be mounted to the shock tower is missing. I have done a bit of research and have concluded to the best of my ability that it has the original engine (L24-4147). I hate to assume anything but I am basing this on the production date as 1/70, using the Classic Z Car Registry located at zhome.com my engine # falls within the range of the other cars produced the same month. If there is another way to track this down I would love to know so I could continue the search. I think you have yourself a diamond in the rough there. 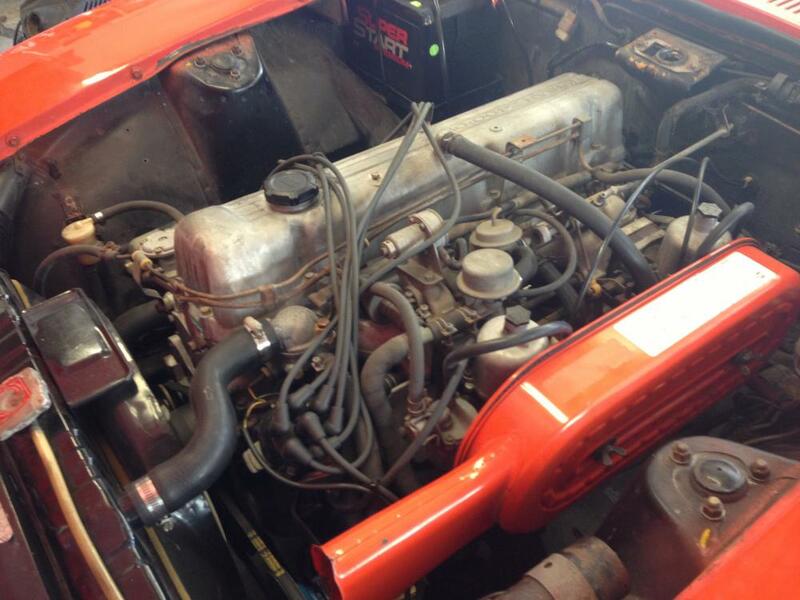 Looks like a great car to restore! And lucky you it's a safari gold car. Love that color. heater core. How is the firewall? Thanks for posting up Clay and sharing your progress so far. I agree with everyone else that the car is very restore-able and in my opinion, despite the rust and previously repaired damage, it is still a great starting point to be at. A lot of us have started with far worse cars. 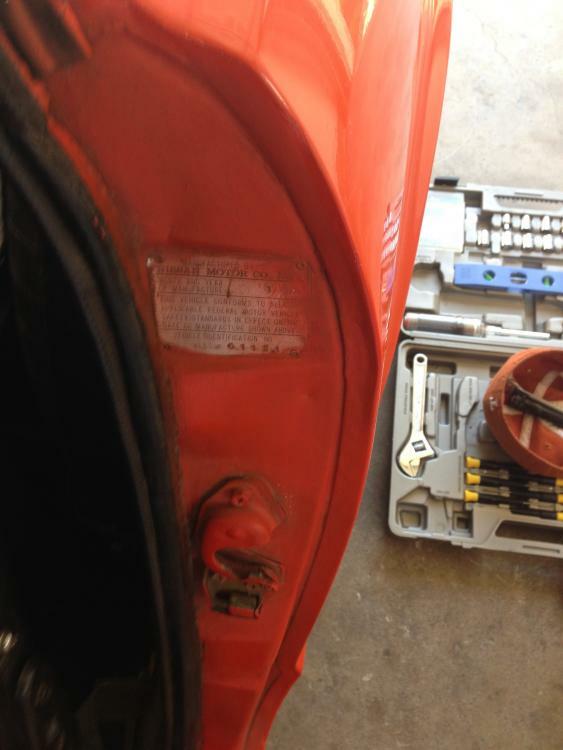 Plus, based on the pictures it looks like you have all the correct parts like the early air cleaner, 2400 valve cover, smog pump, console, and ash tray door. The only thing that is not quite right is your steering wheel since it has holes but that is small fries compared to everything else. You made a great point in your first post about seeing all of the build threads and being motivated to get #1121 on the road again. Being the author of two build threads I am always inspired by the work other owners are doing. As you have probably already read a number of times, the key to staying motivated is break up your restoration in to small projects, plan and research as much as you can before spending money. As always you will be met with surprises but don't get overwhelmed. All the owners here are very supportive so ask questions, post pictures, and gather feedback. Despite thousands of threads on here there are always new questions and new topics to talk about. Another thing to think about is you have to decide what level of restoration you plan to do. Since the car has not been on the road in so long and your plan was to drive it on weekends, you may possibly want to get it to a state of being reliable and safe to drive, including the already mentioned structural repairs that are needed. Overall I think your car presents really well and with some cleaning up will only look better. 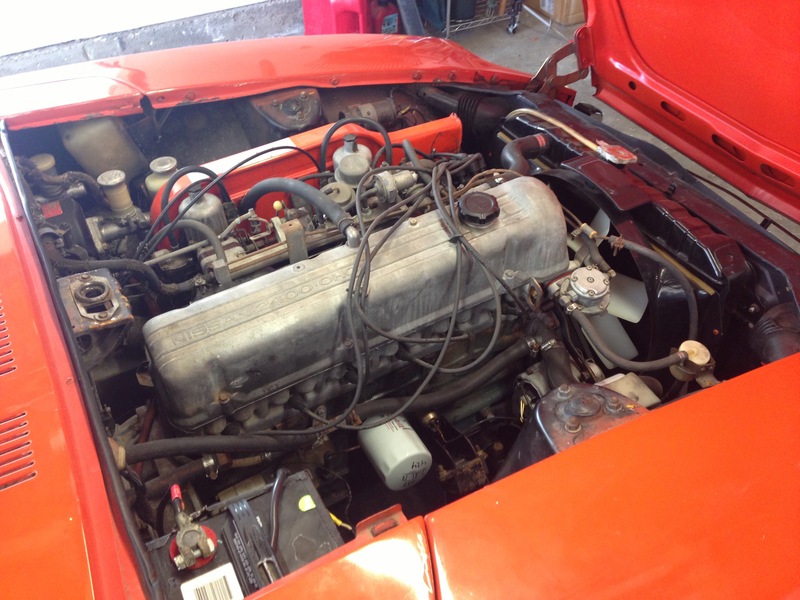 A full blown restoration will move your dream of driving the car on weekends out several months to several years depending on your available time to work on the car and your budget. 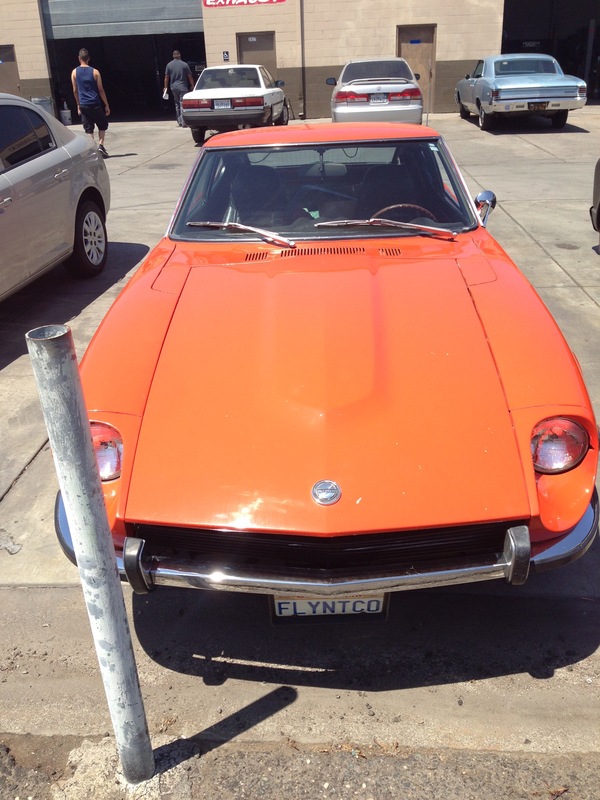 These are just things to think about as I have been there with several Z's and other classic cars. I too look forward to your updates, pictures, and questions. Keep 'em coming, we are all here to help. Well, I can erase this part but you'll have to do the other. Sometimes people don't realize how they look on the old interweb and need a nudge. There are forums that actually have rules about punctuation. Your post was ironic because you didn't "do it right". I think so too. I can't wait to get her back on the road but I promised myself that I will also enjoy the journey. I plan on keeping this thread well past completion. Needs some work on the passenger side. Nothing to bad at all tbh. strip the car and take it to a sandblaster. I will be dropping it off at the body shop in the first week of June. They are going to start with media-blasting and we are going to go from there. The only thing that is not quite right is your steering wheel since it has holes but that is small fries compared to everything else. I noticed that also with all the research I have done. I talked to a friend of mine that has a 1970 also and he loves his MOMO. I was telling him I wished I could find the steering wheel that came on the car which has the indentions rather than the holes. The next day he was at my house and told me I could have his that had been collecting dust in his closet for about 5 years. I told him it was kind of a collectors item and paid him a fair price for it (I think). He was happy and so was I. Another thing to think about is you have to decide what level of restoration you plan to do. I have been planning it and saving up for it for 3 years. I plan on restoring this completely with minor modifications. I am in the Navy and am being sent to a C-School from June-September. 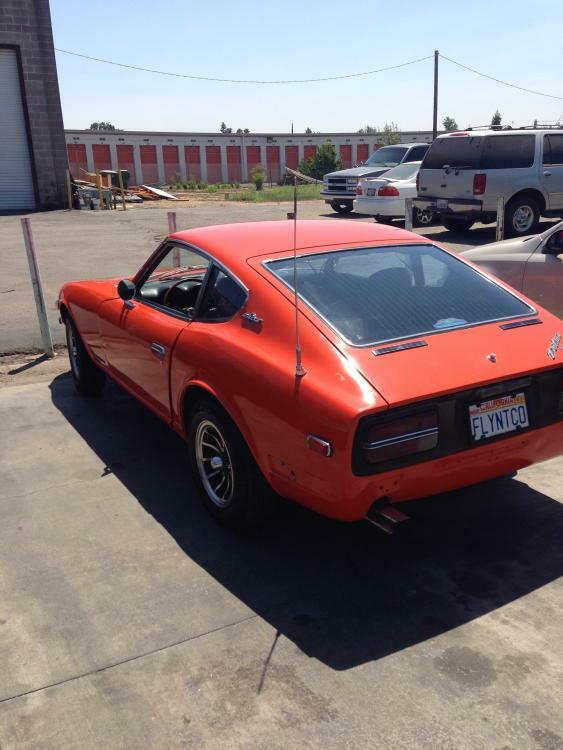 I have talked to a shop here in SoCal several times regarding a restoration and my vision for this car. They understand what I am trying to do and will be doing the work. I will deliver the car to them the first week in June before heading to VA until September when I will do the final inspection and bring the car home. There will be several times that I come home and inspect the progress of the car, as well as visit my wife, LOL. I am putting a L28 Bore/L24 Stroke +1mm OB with a 260/260, .460/.460 cam in her. Not to worry I love my history and will be rebuilding the original L24 and crating it and storing it in my garage. That is just a few of the plans, I could list out the whole build but we will see it together on these pages. Thank you all for the inspiration and keep the comments coming. I look forward in giving 1121 a new life. I have to point out the irony of somebody who can't bother to use capital letters or end the final sentence with a period, telling someone else "if you're going to do something, do it right". Too funny to let pass. Please don't start a word battle in his thread, I won't respond. It's just really amusing. Good job on the steering wheel and kudos to your friend for offering his up. I think we all like to see parts go to the right car and the right people. Your comment on both of you being happy with the deal is best way to go. Good karma all around! It's kinda old thread, but I just want to share with you that my z has the L28 short-stroke setup: N42 block + 280ZX flat pistons + L24 crank + L24 rods + N42 head. The compression is 9.5:1 with 1mm thick Felpro head gasket. This can be built with all stock parts and it's very easy. I have been running this setup with a lighten flywheel and triple carbs and I love it!! With .6mm thick metal head gasket MSA carries, a 10.0:1 compression can be had without shaving any metal, but it's a little pricey item..
Oil can is installed differently on this one than my L24. Have to look up this number to see what year it was produced. New seatbelt were a must for my wife to feel safe. Got the new oil cap in that I ordered. I really like the elephant oil cap. A friend of mine gave me this distributor. Hope it is good. Stainless steel screw/nut/bolt/washer set for the entire car. Kameari valve cover fit test on L28 engine. I will keep everyone up to date as we continue this journey together. Oh you got some fun goodies there! Do yourself favor though, keep everything, don't throw away or sell anything that is original from your car. At some point in the future you may want to go back to original and you won't be able to find the stuff. I wish I had taken my own advice, now I'm looking for stuff I thought I would never use. You're going to love those triples. Thanks...For the most part I am keeping things original. The items that I am modifying I will be refurbishing the originals and boxing them up for storage. Once the restoration is complete, I will see what items I can sale. I think the triples are going to sound very good on the engine I will be building. noice! why not use the engine that came with it, though? it would be original and have all the goodies. 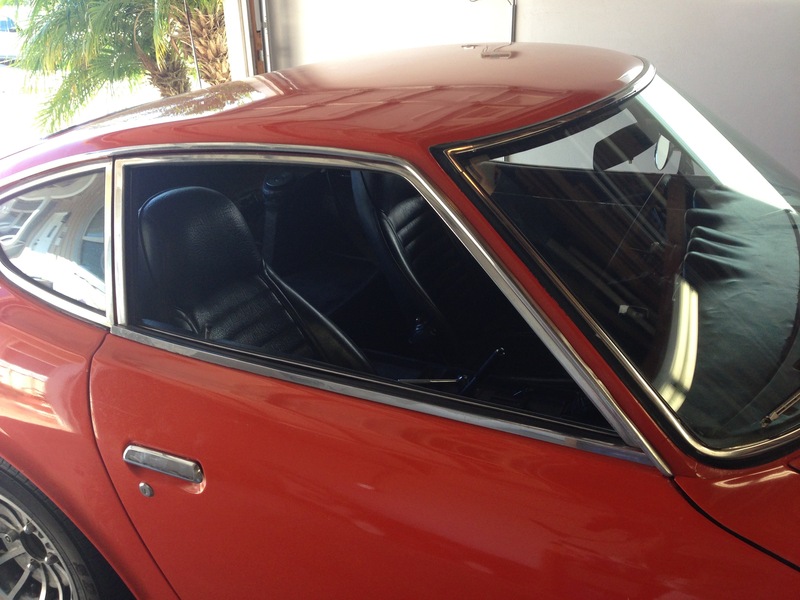 you can always just replace the exterior stuff if you want to put it back to stock/restored look, no?